Note that in High Sierra, the built-in NVMe driver already supports most SSDs, and we don’t have to mess with it any more! This is a good option when you’re running the initial installer for macOS. However, by using this approach you’ll miss out on nearly all the performance benefits, so after installation, let’s patch a kext to add support for direct access instead. Just run it with no arguments, it’ll find your vanilla kext and create a new patched version called “IONVMEFamilyBorg.kext” for you in the same directory. Then I removed the old SATA drive from the guest’s configuration, and booted from the NVMe drive successfully! While virtualised SSD performance certainly blows away spinning disks, there seems to be a significant performance hit in the guest when compared to benchmarking from the host. I don’t know if this is macOS’s fault, QEMU’s fault, or if this is my CPU’s fault (E5-2670, I’ve heard that newer CPUs have better virtualised IO performance). My old boot disk was 550GB, but my new SSD was 512GB. Obviously this would cause me to run out of space during the “dd” copy onto the SSD. To fix it, I took a backup of the disk (critical! ), then used macOS’s Disk Utility to resize my drive’s main partition to end well within the 512GB limit. This causes macOS to add an empty partition at the end of the drive to use up that free space. This partition will end up being cut in half later, which we’ll need to repair. Then I shut down the guest and copied the contents of the disk onto the SSD using “dd” from the host. dd will complain that it ran out of space on the destination device, which is fine. 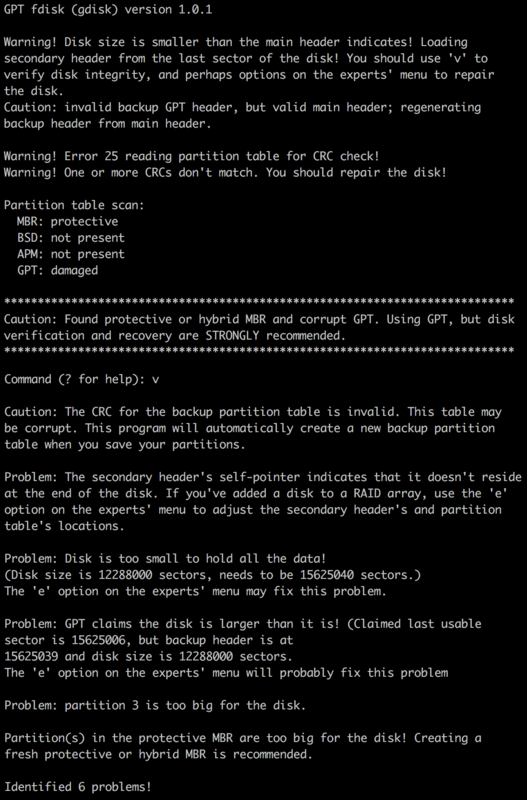 GPT format disks have a backup copy of some partition information at the end of the disk, which will now be missing. 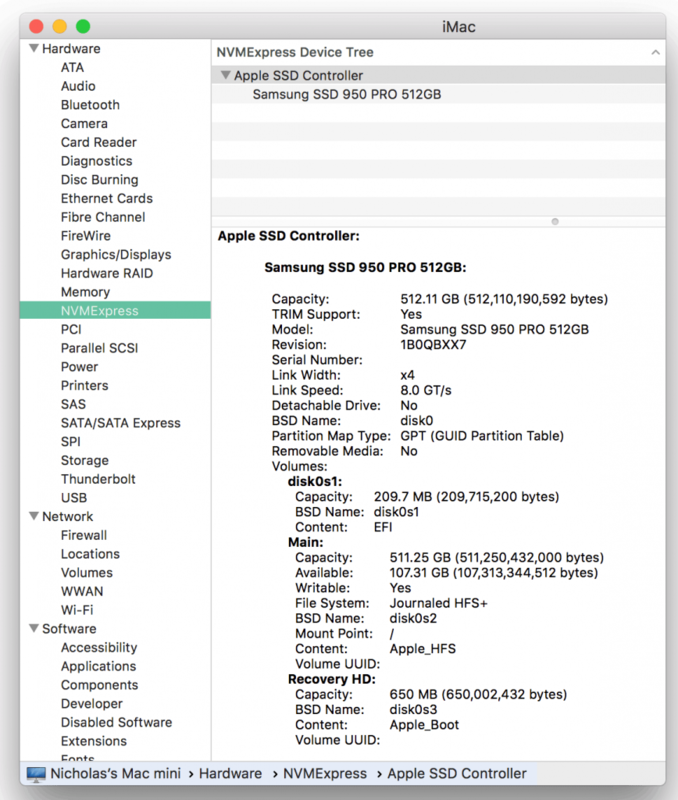 The blank partition that Disk Utility added will lie partially outside the disk. And the disk’s header will say that the disk is longer than it actually is. We can fix these problems using the repair tools in GPT fdisk (gdisk) against the SSD. I used “p” to print the partition table, and identified that partition 3 was the empty partition at the end of the disk that I wanted to remove. I removed it with the “d” command. Then I used “x” to enter the expert menu and “e” to relocate the backup structures to the end of the disk properly. Finally I used “w” to write my changes to the disk. A quick check with “v” showed that everything was now hunky-dory. Is it possible to install the kext into the boot image on your other article? I’d like to just straight up install OSX on to a SSD.